These three days of exploration and experimentation will delve into utilising the wonderful range of plants growing around Field Farm. 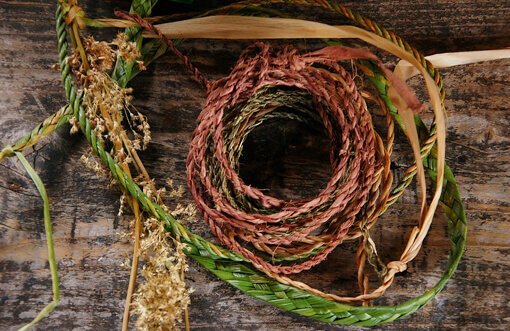 As much as possible, plants will be harvested from source and you will discover the variety of ways in which different plants can be gathered, stored, processed and prepared for weaving. 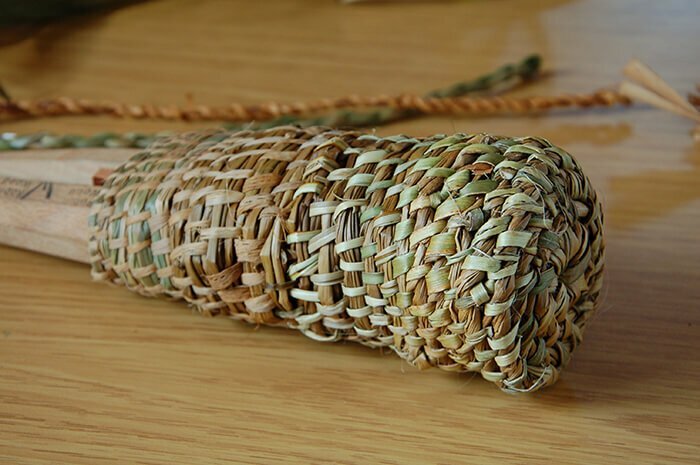 Guided by the relaxed and generous teaching of Mollie Butters you will harvest willow bark, nettles, brambles, and soft rush and keep a look out for any other plants which can be utilised. There will also be many other plant fibres to experiment with which will have been harvested prior to the course for your use; time will also be spent in dying willow bark so give a lovely soft pink colour to the bark. 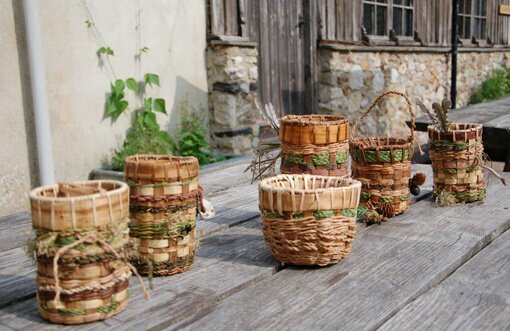 A number of different weaving and basketry skills, such as plaiting and braiding, cordage making and twinning will be covered. 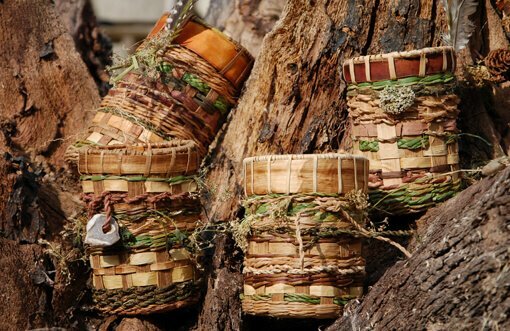 The final project will involve weaving a small round bottomed split spoke basket with the materials gathered and prepared over the course. Camping is available at £6 per night. Kitchen facilities and toilets in barn for the use of all campers.